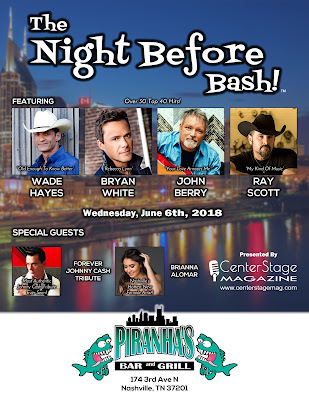 The Night Before Bash Featuring Wade Hayes, Bryan White, John Berry, and Ray Scott On Sale Now! The Night Before Bash! is the premier event to kick off CMA Fest week! Featuring country superstars Bryan White, Wade Hayes, John Berry, and Ray Scott who collectively have over 30 Top 40 hit songs! 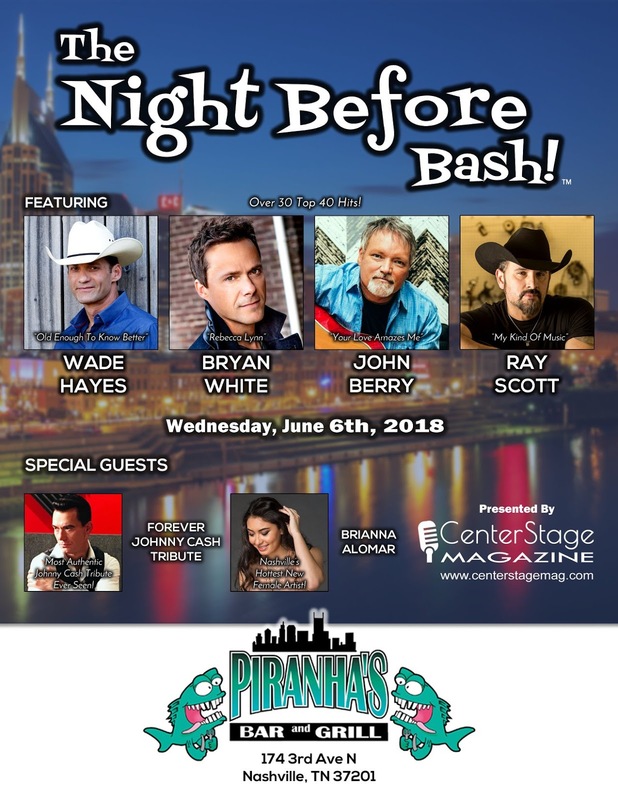 Opening the event will be rising Nashville star Brianna Alomar followed by the world's most convincing tribute to Johnny Cash, Forever Johnny Cash Tribute. It'll be a night to remember and a great way to kick off your CMA Fest in Nashville for 2018! VIP ticket includes 4 tickets for your own private table (4 tickets will be issued) and Meet & Greet with the artists before their performance.